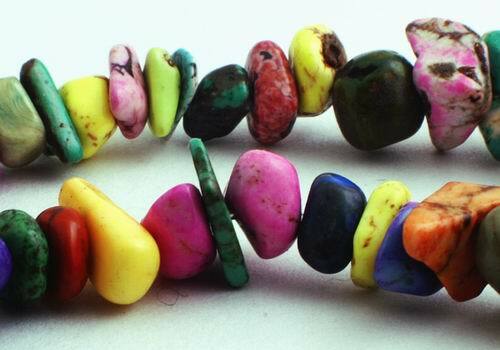 Price is per 16-inch strand of these unusual turquoise beads. All are slightly different size and shape, but average is a large 12mm x 15mm x 5mm. Many nuggets to the strand. Colors may be different to picture, depending on strand, but usually green, pink, red, and blue. All dyed, but color fixed.